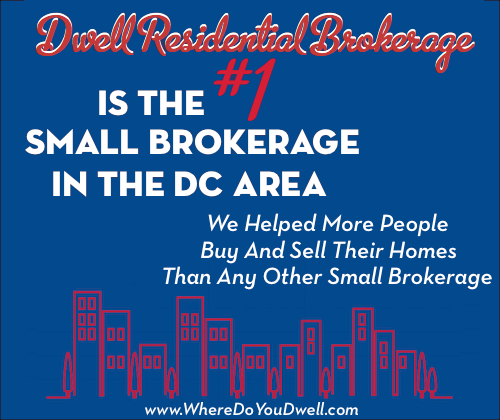 Washington DC’s Best Real Estate Agents AND Top Producer by Washingtonian Magazine 2017! 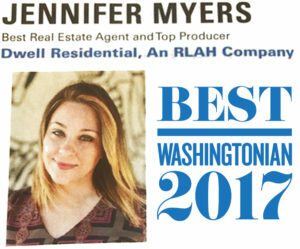 Dwell Residential founder and broker, Jennifer Myers, made the list of Best Real Estate Agents in Washington DC AND Top Producer in Washington DC in the July Issue of Washingtonian Magazine. The list of Best Agents took many factors into account. 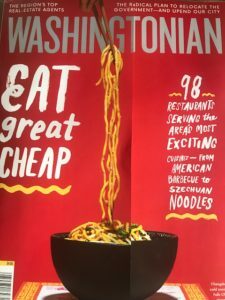 Washingtonian Magazine sent surveys to nearly 16,000 recent Washington homebuyers asking them to rank their agents on a series of criteria, including integrity, market knowledge, and negotiation skills. They called mortgage brokers and settlement attorneys to ask whom they most enjoy doing business with and whose clients always seem happiest. And of course, they asked dozens of agents to dish about their peers. Jennifer and Dwell Residential, An RLAH Company, would like to thank all of our amazing clients, friends and colleagues who made this accomplishment possible. We are excited to hear that you love working with us as much as we love working with you and we look forward to helping even more of you DREAM BIG this year!